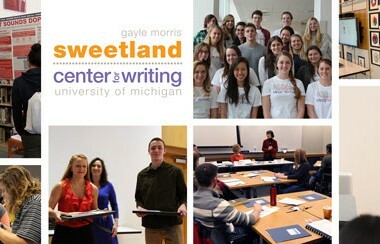 Effective in Fall 2013, Sweetland is responsible for helping all undergraduate multilingual students transition to and succeed in academic writing at the University. 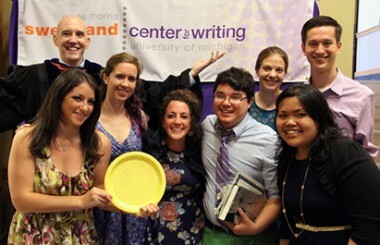 With the help of two new faculty members, Jing Xia and Lori Randall, both of whom have training in teaching English as a second language, Sweetland has been busy preparing to meet the needs of this population. The Multilingual Student Working Group, consisting of Anne Gere, Lori Randall, Jing Xia, Simone Sessolo and Dave Karczynski, has developed three new courses. The first, Writing 120: College Writing for Multilingual Students, is a three-credit course loosely inspired by Writing 100: Transition to College Writing. This course is designed to help multilingual students develop written fluency and improve their command over the textual, rhetorical, and grammatical conventions of English that are common to a variety of academic disciplines. 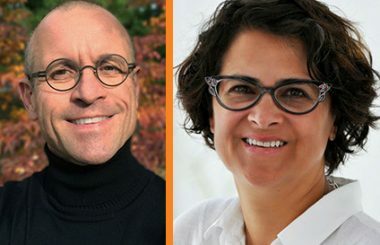 Lori and Jing are both teaching inaugural sections of the course this fall. The working group has also drafted two new courses, which will be implemented in Winter 2014. Writing 240: Academic Communication for Multilingual Students introduces students to strategies for understanding and analyzing academic lectures. In it, students are asked to examine the structure and rhetoric of typical American academic lectures for the purpose of enhancing not only their own comprehension skills but also their ability to create and deliver their own presentations. Writing 340: Disciplinary Writing for Multilingual Students: Vocabulary and Grammar in Context supports upper-division multilingual students who want to combine the development of discipline-specific reading and writing skills with an opportunity for regular conversational exchange with students who use English as their first language. The course will accomplish the latter goal by collaborating with another Sweetland course, Writing 300: Seminar in Peer Tutoring. In addition to developing new course offerings, the working group has helped the Language Resource Center transition to its new role of assisting English language learners. Whereas previously the LRC offered limited English language reading and study material, it now offers a substantial collection of popular English language texts as well as licensed software for self study. With the LRC, we will be continuing to develop the list of resources offered in keeping with student input and instructor feedback. Sweetland’s Peer Tutoring program has also recently begun offering translingual tutoring for students who wish to discuss their English-language compositions in languages other than English, a program that will be expanded in the Winter Semester. Peer Tutors will also take the lead in receiving training to offer conversation groups for multilingual students.